LightSquared Archives · Stop the Cap! LightSquared, the ill-fated venture to bring nationwide 4G wireless broadband to the masses may be all but gone and forgotten in bankruptcy reorganization proceedings, but the wireless spectrum it controls and the drama surrounding it is not. A battle between billionaires and the hedge funds they support has broken out over who will ultimately control the failed venture — a hedge fund manager deep in LightSquared debt or the richest man in Colorado that often finds a way to get his way. 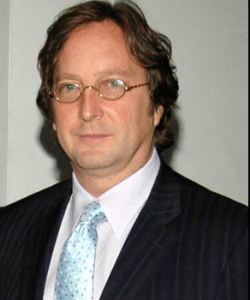 Phil Falcone earned his first fortune trading junk bonds in the 1980s. In 2001, he launched Harbinger Capital Partners and by 2007, Falcone and his investors were well-positioned for a blizzard of cash betting against sub-prime mortgages just before the housing collapse and credit crisis that followed. Falcone took home $1.7 billion in compensation that year while an epidemic of foreclosures and upside down mortgages was just getting started. In late 2008, when the economy was in free-fall, Falcone suspended or limited withdrawals from his largest funds, upsetting investors who couldn’t get their money out. But Falcone reportedly gave special treatment to certain large investors (sources say Goldman Sachs is among them) who were able to clear out their exposed accounts before the losses piled up. By 2009, Falcone was again making money — so much he vastly underestimated his federal and state tax bills. What’s a cash-strapped billionaire to do? Quietly loan himself $113.2 million from one of his investment funds at a favorable interest rate and keep it a secret from investors for five months. When they eventually found out, they were understandably disturbed. Falcone had barred those same investors from cashing out of the fund he borrowed from. The Securities and Exchange Commission was not happy either and filed charges against Falcone. Despite the publicity generated by the SEC, investors who appreciated Falcone’s ability to earn them money allowed them turn a blind eye to the ethics questions and pour money into Falcone’s latest venture — a wireless network known as LightSquared. LightSquared was preparing to launch a unique nationwide 4G LTE mobile broadband network powered by satellites and ground-based cell towers, selling wholesale access to third-party wireless companies able to market the service under their own brand. Falcone’s funds poured nearly $3 billion dollars into the venture while getting a waiver from the government to operate high-powered transmitters on the “L” band — 1525-1559 MHz. LightSquared’s plans alarmed the next door neighbors — GPS satellites facing interference issues that would hurt the accuracy of precise location information provided to millions of tracking devices on the “L1” band — 1559 to 1610 MHz. Initial testing showed that significant interference from the prototype ground-based transmitters would occur and potentially could cripple aviation and public safety GPS users. The FCC eventually withdrew permission for LightSquared to run its network as planned, a potential death-blow to the venture. Creditors grew anxious wondering how LightSquared would be in a position to repay its loans when it was unable to launch its wireless network. In May 2012, creditors forced the issue and LightSquared filed for bankruptcy protection, listing assets of $4.48 billion and debts of $2.29 billion. Falcone claimed the bankruptcy filing would give the company more time to overcome the FCC’s objections to its network operations plan. Falcone estimated it would take two years to secure a resolution. 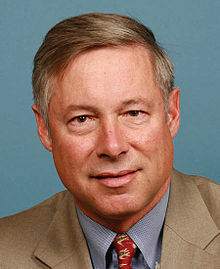 Analysts familiar with the FCC suggested Falcone might die of old age before the agency gave way. Falcone’s subsequent efforts to win back control of the venture have been made more difficult because one man has been quietly buying up large amounts of LightSquared’s debt with designs on the venture’s spectrum. With LightSquared’s debt trading at around 50 cents on the dollar, Charlie Ergen went shopping. Ergen has been involved in the satellite business for decades. Today, he controls and runs Dish Network, a satellite television provider that has seen the back of high customer growth. Dish and DirecTV are both locked out of the “triple play” business most cable and phone companies offer customers. Neither company can offer broadband or telephone service without partnering with another provider. As cord-cutting continues to take hold, customers willing to pay for increasingly expensive television packages are in decline. That likely explains Ergen’s interest in acquiring wireless spectrum — to build Dish into a broadband, television, and telephone service provider. In May, Dish publicly bid $2.2 billion for certain spectrum assets from LightSquared. But for more than a year earlier, Ergen was quietly buying up LightSquared’s debt through holding companies and hedge funds. Ergen created an opaque investment entity named “SP Special Opportunites, LLC” a/k/a “Sound Point” to buy LightSquared debt. Separately, Ergen asked Stephen Ketchum, a former investment banker with close ties to Ergen, to buy over $1 billion in LightSquared debt securities through Ketchum’s hedge fund. From April 2012 until May 2013, Sound Point allegedly spent $1,013,082,326.30 to purchase secured debt for Ergen’s personal benefit and without the knowledge of Dish or its board of directors. Secured debt held by creditors is paid first in a bankruptcy proceeding, and Ergen quietly because LightSquared’s largest single secured creditor. That puts Charlie Ergen in a major ethical dilemma. The more Dish offers to pay for LightSquared, the more money Ergen will be paid to cover the shares of LightSquared’s secure debt. Ergen has a controlling interest in Dish, which means he can order Dish to overpay for LightSquared, personally pocketing the proceeds. Falcone was outraged when he learned of Ergen’s stealthy acquisitions. In July, Harbinger accused Ergen of “fraudulently” becoming a creditor to block efforts by LightSquared to reorganize and emerge intact from bankruptcy. Instead, Harbinger accused Ergen of seeking to acquire the company’s assets “on the cheap.” Harbinger also points to provisions in a LightSquared debt agreement that forbids certain competitors from buying the company’s debt. Also upset are several major Dish Network shareholders who are not pleased Ergen’s private deal could make him a lot of money while costing shareholders plenty should Dish overpay for LightSquard’s assets or worse, end up with everything but the spectrum Dish covets. At least five lawsuits have been filed since August, accusing Ergen and other board members of casting their fiduciary duties to the wind and wasting money along the way. They are also upset Ergen and his connections purchased $1 billion in LightSquared debt at a substantial discount and will likely be repaid the full face value of those debts with Dish Network’s money. That means nearly $300 million in personal profits for Ergen. The latest shareholder lawsuit was filed by the Louisiana Municipal Police Employees’ Retirement System. It along with the suit filed by the City of Daytona Beach Police Officers’ and Firefighters’ Retirement System claim Ergen’s near-total control of Dish’s board of directors makes it impossible for the board to meet its obligation of representing shareholder interests first. 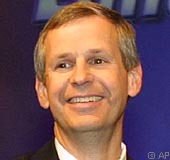 “Ergen’s control over the company and the board is highlighted by the numerous transactions he has caused Dish to enter into with members of his family,” the lawsuit states. Ergen and Dish’s efforts to insulate themselves from charges of conflict of interest didn’t fly with many investors. One lawsuit noted Tom Ortolf, one of the directors on the supposedly independent committee reviewing Dish’s bid, has a daughter that works at Dish; the other, George Brokaw, chose Mr. Ergen’s wife, Cantey Ergen—a Dish director named in the shareholder suit—to be the godmother of his son. The discomfort level at Dish reached high enough to prompt one board member, Gary Howard, to suddenly resign in early September. Howard was also on the committee formed to vet the LightSquared deal because of the potential conflict of interest on Ergen’s part. Before Falcone could claim the high road at Ergen’s expense, this week New York’s top financial regulator banned Falcone from managing Fidelity & Guaranty Life Insurance Company of New York for seven years. Harbinger Group bought Fidelity & Guaranty, the U.S. life and annuity unit of London-based Old Mutual Plc, for $350 million in 2011. The House Energy and Commerce Committee plans to hold a hearing Friday to review the Federal Communications Commission’s actions regarding the now-bankrupt wireless firm LightSquared, which proposed a nationwide 4G network later found to create major interference problems for GPS users. At issue are the circumstances surrounding the conditional waiver the company received from the FCC to move forward with its network in 2011. Some Republicans are questioning whether the FCC rushed the approval process without independently assessing whether LightSquared would interfere with GPS services located on nearby frequencies. The hearing, requested by the Republican majority, will explore whether the FCC skipped its own procedures and ignored policy to hurry approval. Sen. Charles Grassley (R-Iowa) has raised questions about the FCC and LightSquared owner Philip Falcone, who has donated nearly $100,000 to the Democratic Party. “Without transparency, and with media coverage of political connections in this case, there’s no way to know whether the agency is trying to help friends in need or really looking out for the public’s interest,” Grassley said last September after unsuccessfully trying to get the FCC to pass along documents regarding the venture. Several major Democratic campaign contributors and longtime Obama supporters have held investments in the company and its affiliates during its tangled decade of existence. They include Obama’s good friend and political donor Donald Gips, his former White House personnel chief, who now serves as U.S. ambassador to South Africa. Records show that Gips maintained an interest, worth as much as $500,000, as the FCC was weighing LightSquared’s request. Obama himself was an early investor and came to the presidency a firm believer in expanding broadband. He remains close to other early investors, like Gips and investment manager George W. Haywood, inviting some to luxe social events at the White House and more intimate gatherings like a night of poker and beer. Obama installed one of his biggest fundraisers, Julius Genachowski, a campaign “bundler” and broadband cheerleader, as chairman of the FCC, whose staff granted LightSquared a special waiver to operate. LightSquared’s current majority owner, hedge fund manager Philip Falcone, made large donations to the Democratic Party while his broadband request was pending before the FCC. He and LightSquared executives met with White House officials. Neither Falcone nor the White House would comment on what was discussed. LightSquared employs lobbying firms that wield formidable Democratic firepower: Ed Rendell, former governor of Pennsylvania and onetime chair of the Democratic National Committee, as well as the firm of former House Majority Leader Richard Gephardt. Jeffrey J. Carlisle, the company’s vice president for regulatory affairs, served with Genachowski and Gips on Obama’s transition team. With nearly $3 billion sunk into the venture by hedge fund owner Falcone and his backers at Harbinger Capital, fierce lobbying pressure was applied to win the conditional FCC waiver, granted by the FCC before it reviewed comprehensive reports affirming interference problems. When independent tests showed LightSquared’s service would overwhelm sensitive GPS receivers and render the location-tracking service nearly useless, last February the agency withdrew its permission for LightSquared to operate, beginning a death spiral for the 4G venture, which filed for bankruptcy in May. House Republicans attacked the Federal Communications Commission Tuesday for “rushing” special waivers and conditions that allowed LightSquared to begin operations without fully considering its impact on GPS devices and services. 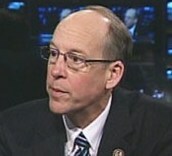 GOP Reps. Cliff Stearns (Fla.), Fred Upton (Mich.), and Greg Walden (Ore.) said the need for intensifying an investigation first launched in February was more pertinent than ever with this week’s bankruptcy declaration by the wireless Internet service. All three said the FCC’s “rushed” review cost investors billions that were “wasted” building a broadband network that was later determined to create serious interference problems for global positioning satellite receivers. The FCC previously denied they were pressured by Obama Administration officials to approve the project as part of the White House’s strong focus on broadband improvement. But the House Republicans believe the interference problems should have been identified before the project got too far along. Initially, the FCC issued a conditional approval to begin testing the service, which quickly led to growing evidence it unintentionally blocked GPS reception. A preliminary report found GPS receivers were incapable of rejecting the adjacent channel interference from LightSquared’s powerful ground-based transmitters. While technically not the fault of LightSquared, which argued it should not be held responsible for poor GPS receiver design, the fact millions of GPS receivers are already in use swayed the FCC to reject the use of those frequencies for the wireless Internet service. LightSquared, Inc. filed for bankruptcy this afternoon after its plan to deliver high-speed wireless broadband nationwide was blocked by federal regulators over interference issues. LightSquared was a pet project of billionaire hedge fund manager Phil Falcone, who earned his money pitching George Foreman grills and betting against sub-prime mortgages. Falcone invested billions in the satellite Internet venture, despite knowing the wireless technology had run into controversy with nearby satellite spectrum users who claimed it interfered with GPS reception. Starting in 2010, Falcone convinced the FCC to approve his purchase of SkyTerra Communications, on the condition he construct a nationwide wireless broadband platform that could serve up to 260 million Americans. His hedge fund, Harbinger Capital Partners, spent $3 billion to gain control of 74 percent of the fledgling LightSquared project, despite Falcone’s knowledge the technology would potentially interfere with adjacent spectrum users. But Falcone dismissed those concerns, believing the interference problem was actually the fault of GPS technology that encroached on his spectrum or receivers that were not properly constructed to reject adjacent channel interference. Falcone’s steadfast belief in LightSquared, and the enormous financial backing he gave it, flew in the face of network engineers who reviewed the technology startup. DirecTV was one company interested in the potential of LightSquared’s wireless satellite broadband back in 2004, but quickly backed away when even tentative tests flashed red lights of caution for DirecTV executives. “A young engineer we had went and tested it and said, ‘It conflicts with GPS, it will never work.’ So we backed away immediately,” CEO Michael White told Business Week. Falcone assumed any problems could be smoothed over with the federal government, White added. With sufficient lobbying money and inside D.C. influence, he might have even overcome the alliance of GPS users that formed to fight the venture. But in the public debate that followed, the GPS community eventually proved their case and the FCC put the project’s approval on hold. Now some parties involved in the LightSquared debacle are wondering if things might have gone better had the company been more sensitive to those GPS users and had found a way to overcome the interference problems. Ultimately, the FCC delivered the death blow issuing an eventual revocation of the company’s license to operate its broadband system as presently designed. Most of the group’s working partners have fled the LightSquared project, Harbinger has seen the biggest drop in assets in industry history — losing $23 billion from direct losses and client withdrawals, and billionaire Falcone is even accused of allegedly stiffing the contractor working on his Long Island home at least $1.2 million, according to a lien filed in Suffolk County. A billionaire who invested enormous sums to purchase airwaves for a new national wireless broadband network learned Tuesday ruled he cannot use them to launch LightSquared. The Federal Communications Commission said yesterday Philip Falcone’s vision for competitive wireless service cannot go forward on the frequencies he acquired because tests show they create significant interference to other nearby spectrum users, especially GPS. Falcone’s hedge fund poured nearly $3 billion into LightSquared, which the company still claims would not create significant problems for GPS users including aircraft, cars, and ships. But when tests were conducted in early 2011, significant interference problems were reported, some that could jeopardize the safety of American air travel. The FCC decided it preferred to be safe instead of sorry. The announcement by the FCC calls into question the future of the company and the value of its airwave assets, which are now likely worth a fraction of the price paid. The company’s agreements with at least 30 wholesale customers are also at risk, and one of its largest partners, Sprint-Nextel, has spent the last few months distancing itself from the project, anticipating the decision the FCC announced yesterday. The rejection has upset the FCC’s plans to increase wireless competition for AT&T and Verizon, which dominate American wireless. The agency hoped the spectrum LightSquared obtained would open the doors to a new national player, but that appears unlikely for now. LightSquared executives said in October they would sue the FCC in court if the agency blocked their network from operating. The only new player on the horizon may be Dish Network, which earlier acquired wireless spectrum from two bankrupt companies, and now seeks to use them as mobile phone spectrum. Separately, Clearwire is working with Sprint to construct a new national 4G network, while still operating Clear’s existing WiMAX 4G service.